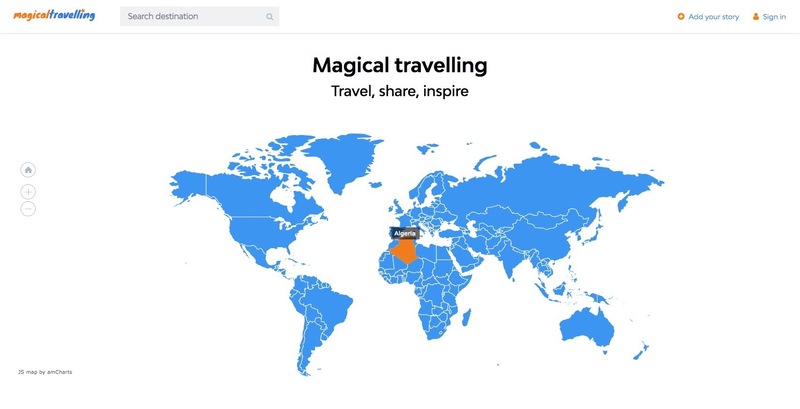 Magical Travelling is platform that offers you making your own travel stories, creating your travel profile and travel map and exploring other stories from countries all around the world. If you want to add new story, first you need to sign in and then just click on the button Add story in the right corner. This page will pop up. First of all you can choose and add header photo of your story. That is the first thing people see after opening your story. Then you fill travel date and destinations that you have visited during your trip. Now it is time to choose which layout of the article you prefer, you can choose from light version and dark version. Just pick up whatever you like more. To bring the right mood while going through your story, you can add music from Soundcloud. There is also an option Private and Public. If you choose private no one will see your story unless you send them direct link. If you choose Public, people can see and be inspired by your story. When you want to write something, just click on Add text module and you can share your thoughts. Button Add photo module allows you to share photos from your trip. You can also choose whatever layout of photos suits you. We have prepared six layouts for you. When you want to save your concept, there is button Save in the right corner. Then when you open your profile page, you can find your saved concepts on page Concept Stories. To see how your page looks like, use button Preview in the right corner. After completing your story, you can publish it by clicking on button Publish story. After successfully signing in, your profile page is created. 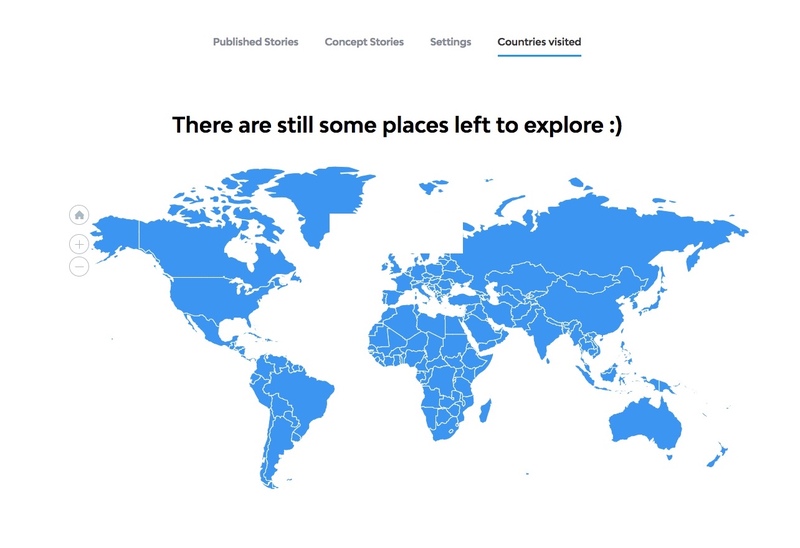 When you click on it in the right corner, you can see your Published Stories, Concepts Stories and your Travel Map, that shows which countries you have visited. Just mark the country by one simple click. Website Magical Travelling also gives you the option to get inspired and explore other people’s travel stories. Just use searching box on the main page or click on the country in the map. Below the map you can see Latest stories, so you will not miss new ones. If you get amazed by some story, the best way to deal with it is to plan your trip to that country so you can see everything on your own. We can help you with that as well. You can use one of our boxes that will lead you to pages related to searching for flight tickets, hotels or rental cars. We can also make all the planning for you by making the ideal itinerary or find the best hotels and flight tickets. 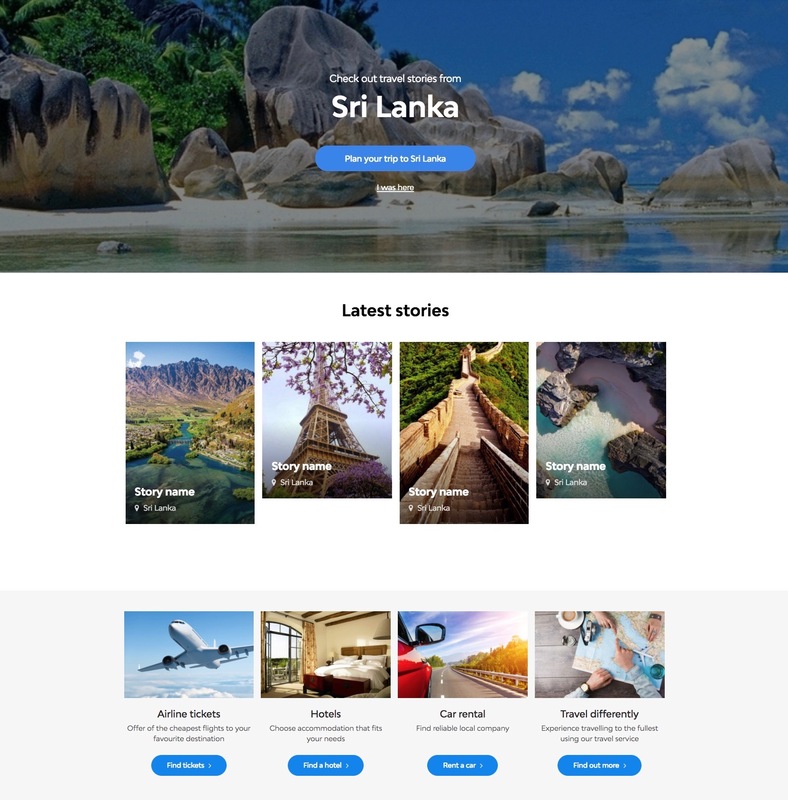 Just click on the button Plan trip to on the country page or click on the box Travel differently below Latest stories.